Here are a few testimonials from our vast number of satisfied patients! 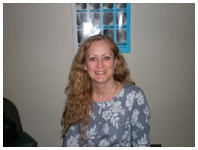 Lydia Karpich - Shakopee Chiropractic helped me and my family and made the care affordable. I recommend to others to come here for care. Brandon Bjorklund - I didn't have insurance coverage, but Shakopee Chiropractic made it very affordable for me. They really care about patients. 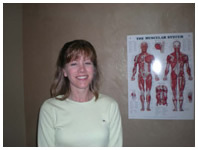 Ann Mulcrone - I had severe pain from a herniated disc. The spinal decompression has me feeling great again in only a few weeks. It's a miracle! 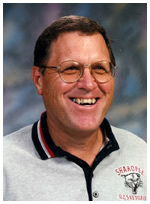 John Leroux - I've trusted Shakopee Chiropractic with my health for over 30 years! 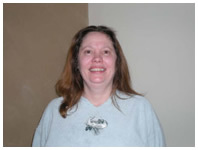 Marie Waye - My back pain is great thanks to Shakopee Chiropractic! We won the State HS Basketball Tournament in 2005, but most people don't know the whole story. One week before the big game, I could hardly move or get off a chair; my back pain was so severe. I needed treatments to be able to coach during the whole tournament, but Shakopee Chiropractic kept me functioning. A year later, I am still pain free thanks to Shakopee Chiropractic. They also were instrumental in returning our injured players to action throughout the year in amazing time. We hardly lost any game time due to injuries because of their treatments. I’ve been a local chiropractor for over 23 years and was District president of the MN Chiropractic Association. I can state without hesitation that Shakopee Chiropractic’s reputation amongst peers and patients is second to none! I've known Shakopee Chiropractic ever since I was in practice, and they helped me get my start in Chiropractic practice. 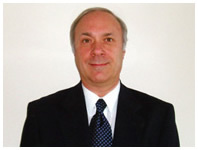 President of Advanced Medical of Twin Cities ... 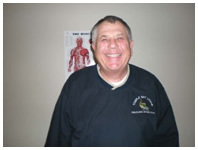 I've known Shakopee Chiropractic for over 30 years. They have helped thousands of people suffering in pain. Many of these people have previously tried other chiropractors and medical doctors. They have a reputation for excellence in chiropractic care and acupuncture. I highly recommend them if you, or a loved one suffers with acute, chronic or difficult symptoms to give them a call! Famous Radio and TV Personality Speaks! Terry Tuma--Tackle Terry of Radio & TV Fame! I thought I would need back surgery. My back pain was chronic. I saw this flyer for a free lecture. I was a real skeptic. I decided to give Shakopee Chiropractic a try. They helped my back feel great again. It's been about a year and I'm still doing great. I referred my wife for her knees and they helped her too! I lived with pain in my back and shoulder for 25 years. I had seen a doctor who told me there was nothing they could do. I was terrified of chiropractic treatment. I was referred to Shakopee Chiropractic by someone in my church choir. And she was right! After 25 years of pain I am virtually pain free! I could kick myself for waiting so long. I loved the care so much I went to work for them! I suffered with such bad back and leg pain I thought I would end up with surgery. Dr. Kimberly Johnson helped me feel great again and kept me away from the surgeons knife! Dr. Kim is such a great compassionate doctor. Now I work for them and get to see so many others get the same great results I got! The pain in my shoulder had gotten to the point that I couldn’t even lie down without hurting. We discovered I had a herniated disc in my neck. I decided on a non-surgical approach including adjustments and acupuncture. Within weeks my pain was gone and surgery was avoided. It’s now been 2 months and I am still pain free. Thanks Shakopee Chiropractic! My first experience with chiropractic care was when I got tired of giving myself injections of Imitrex for severe migraines. 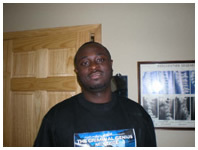 After Shakopee Chiropractic’s treatment I was free of migraines... When I was in a car accident Dr Mash and Dr. Johnson were instrumental in using acupuncture and treatments to restore me to health again. I will always be grateful! 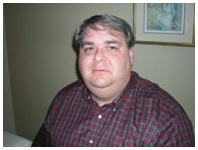 I have been going to Shakopee Chiropractic since 2002. Since 2002 I have not taken prescriptions for Migraines or Allergies, and was able to go through an entire pregnancy without the fear of enduring migraines with no medication. I have quality of life back and no longer endure numerous days of debilitating migraines. My son has also had adjustments since birth to ensure good health, and to reduce the duration of colds. "I climbed over a train to get treated!"... There was a train blocking the road and it wasn't moving. So I parked my car and literally climbed over the train. Now I couldn't have done that weeks ago because of my back and neck injuries. But thanks to the great care by the Doctors at the Shakopee Chiropractic Center I was able to climb over the train to get my treatment I love so much! I've had the fortune of being Shakopee Chiropractic's on and off patient for the last 25 years. They really care about the health of their clients. What a pro & I wouldn't trade them and their staff for the world! I was in a car accident in 2001. Over the next 6 years I experienced chronic neck pain, shoulder pain and headaches. Shakopee Chiropractic has gone out of their way to provide me with quality consistent care. After 2 months I can truly tell the difference in the level of my pain. I am fortunate to have found the care I needed. It also helps that the environment is welcoming.